Chess clocks are expensive. And it can be inconvenient to carry one with you. But with Chess Clock by Hollister Software, you can turn your Windows Phone into a chess clock for a fraction of the cost. Currently available in Czech, Danish, English, French, German, Hungarian, Italian, Norwegian, Polish, Portugese, Russian, and Spanish. 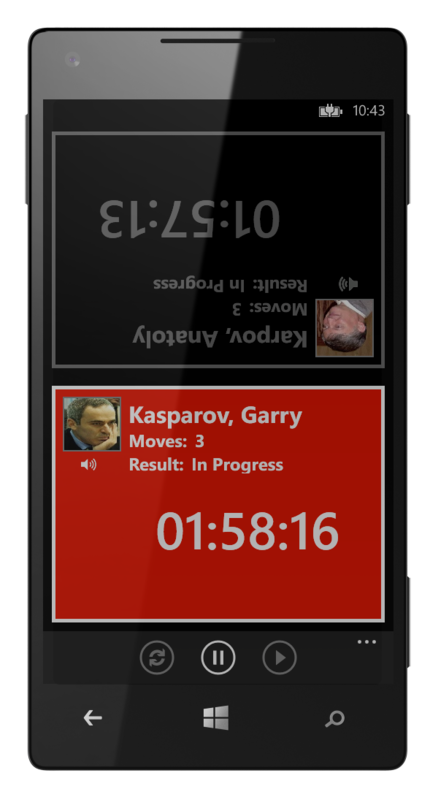 If you already have Chess Clock for Windows Phone, we'd like to hear from you. E-mail us your comments and suggestions at HollisterSoft@pcisys.net.